[audio:http://www.truthrevolution.tv/show/TS-0329.mp3]No Flash Support? Use this Audio Player! Dave – We live in a world that is hurting, and many people are looking for answers. But is it ok for us to question God? Jeff – Some people will say no, but the Bible tells us different! The Psalms are full of questions for God. But the real matter is what is in our heart. Dave – God wants to fellowship with us and, as it is in any good relationship, it’s important for us to share what’s in our hearts. Jeff – And when we question God, it should be done with humility and not out of rebelliousness. We should be interested in what God has to say rather than making assumptions in anger. Dave – Sometimes His answers may not be what we want to hear, but it will always be the truth. It kind of depends on the situation. But, generally speaking it seems to me that “questioning” a parent may be just fine as long as you do it with respect. “I don’t trust you Mom, you’re stupid!” is not good. But, “Mom, help me to understand your reasoning.” can be very good. I’ve been told to question your parents is disrespectful. 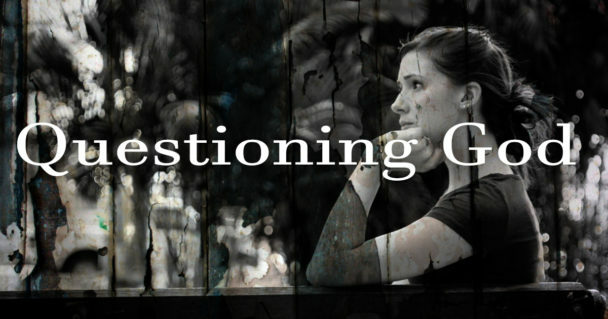 How do i accept or know what God is asking of me is true?